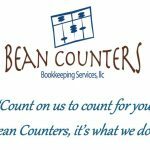 Bean Counters Bookkeeping Services, LLC has Advanced QuickBooks-certified pro-advisors providing full charge bookkeeping services for small to medium-sized businesses, one-on-one training for desktop or QB online, and payroll services. Work For Bean Counters Bookkeeping Services, LLC? Claim This Page.